It’s official: from now on all Perth staff project recommendations will be looked at through a climate change lens. 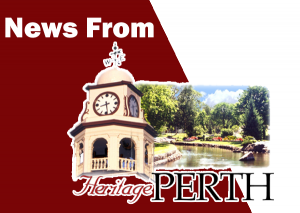 The Perth Climate Change Advisory Panel had recommended that town council adopt a motion requiring all staff reports to include a climate change tag. That motion has now passed and it means that staff are now required to examine their recommendations for projects in the town from a climate change perspective. Whether its an equipment purchases or an infrastructure projects, the tag will quantify the recommendations’ climate change impact, be it neutral, positive or negative, so that council can keep track of how town projects and actions are impacting the environment. This is good – A step in the right direction. Although It remains to be seen if decisions will be made based on money or the right thing to do.